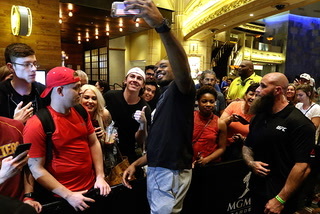 Former UFC light heavyweight champion Jon Jones is set to return from another lengthy layoff and headline a pay-per-view event in Las Vegas next month, eager to prove he is a better man than when he last competed. That’s all he can do, especially considering he has made similar promises each time circumstances outside the cage have derailed his career. 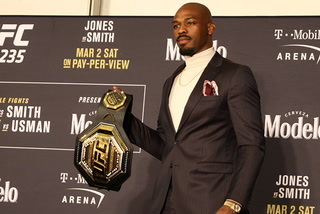 “I don’t feel (the transgressions) can be erased, but I feel like in the society we live in, people are able to forgive and forget as long as you show signs of trying to be better than you were the time before,” the 31-year-old said at a news conference in New York to promote his UFC 232 light heavyweight title rematch against Alexander Gustafsson at T-Mobile Arena on Dec. 29. 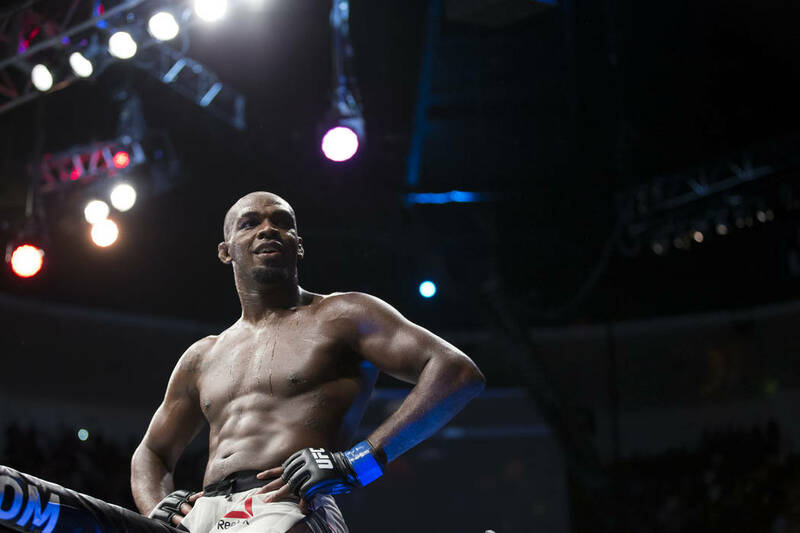 Jones is coming off his second performance-enhancing drug suspension. He also missed time and was stripped of the belt after he was charged in a hit-and-run accident that injured a pregnant woman in New Mexico, had a positive test for cocaine and had a drunk driving incident in New York just to scratch the surface. Inside the cage, his abilities and accomplishments are unmatched. “We’ve all had things we’re not proud of,” he said. “We’ve all made mistakes. The difference in being who I am is you can Google me and figure out what’s gone on with my life. 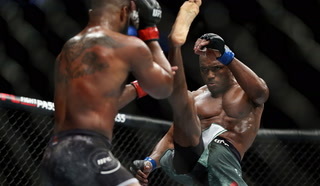 Jones last competed in July 2017 when he knocked out arch-rival Daniel Cormier to reclaim the light heavyweight title. It was stripped and returned to Cormier in the ensuing weeks when it was revealed a drug screening conducted on the eve of the bout came back positive. An arbitration panel reduced what could have been a four-year ban and ruled Jones had not intentionally ingested the substance. 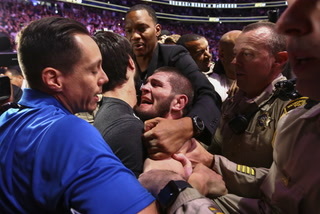 He also agreed to cooperate with USADA as part of a deal to return to action. 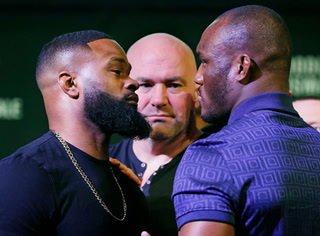 Now the organization will strip Cormier’s belt and award it to either Jones or Gustafsson, though Cormier is also now the heavyweight champion and retained that belt with a submission of Derrick Lewis on Saturday night at Madison Square Garden. 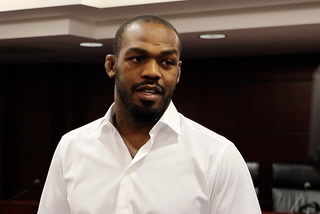 Jones defeated Gustafsson in their first matchup in 2013, though the unanimous decision was razor thin and is viewed as the closest fight of Jones’ career. 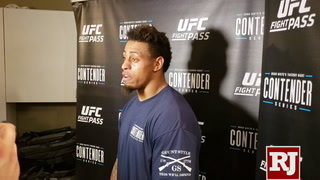 Jones said he has little interest in a third fight against Cormier, who he has defeated twice. The UFC’s move to ESPN will be kicked off with the organization holding events on 11 consecutive weekends after the first event of the year on Jan. 19 in Brooklyn, New York. That show on ESPN+ will represent the official start of the new deal with the network. 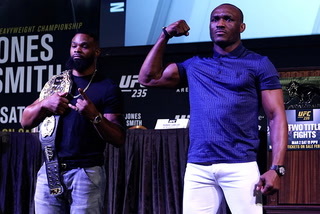 UFC 233 will take place on pay-per-view the following week on Jan. 26 in Anaheim, California. 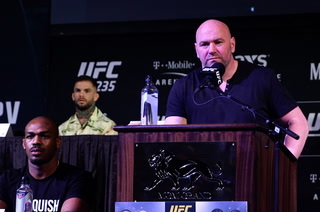 The organization also announced UFC 235 will take place at T-Mobile Arena on March 2. The first show on ESPN will be a Sunday card in Phoenix on Feb. 17. 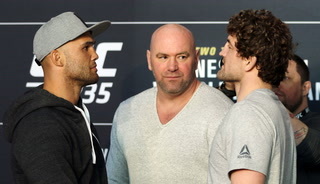 UFC on Fox 31, headlined by a lightweight rematch between Al Iaquinta and Las Vegan Kevin Lee on Dec. 15 in Milwaukee, Wisconsin, marks the end of a deal with Fox that started in November 2011. The UFC will celebrate its 25th anniversary with a Saturday night card in Denver this week. Featherweights Yair Rodriguez and Chan Sung Jung will headline UFC Fight Night 139 on Fox Sports 1 almost 25 years to the day after UFC 1 took place in the same city on Nov. 12, 1993. 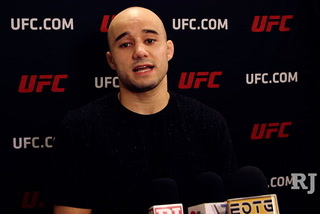 Saturday’s event, which also includes a welterweight bout between Donald “Cowboy” Cerrone and Mike Perry as well as a flyweight contender bout between Ray Borg and Las Vegan Joe Benavidez, airs live at 7 p.m. The preliminary card airs on the same network at 5 p.m.
■ Nov. 30: Bellator 210 (Paramount), Thackerville, Okla.